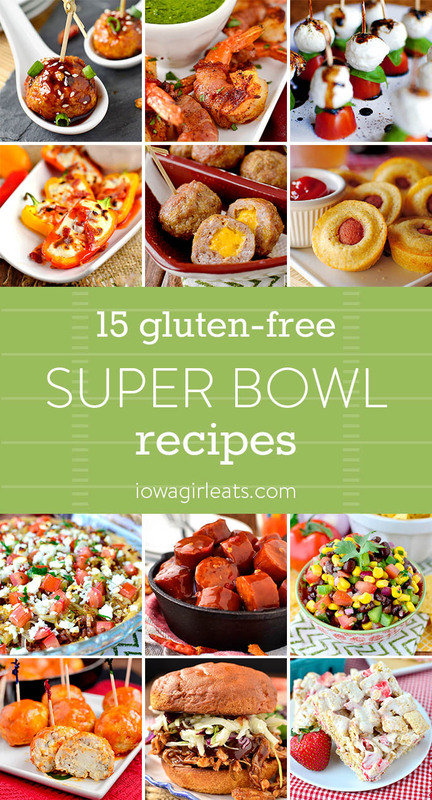 From crock pot sandwiches to creamy dips, choose a few of these 15 gluten-free Super Bowl recipes to serve at game time! I recently heard that over 16 million people call in “sick” the day after the Super Bowl, costing the country $1 billion in lost productivity. WOOF! I’m not sure I’d ever have the guts to call in sick the day after a very public and notoriously rowdy event, but I do agree that the timing of said event is seriously unfortunate. Nothing like having your Sunday blues amplified by the knowledge that you’re going to wake up feeling tired from staying up too late, and possibly a bit bleh from wolfing down one too many meatballs…or Beergaritas. ? 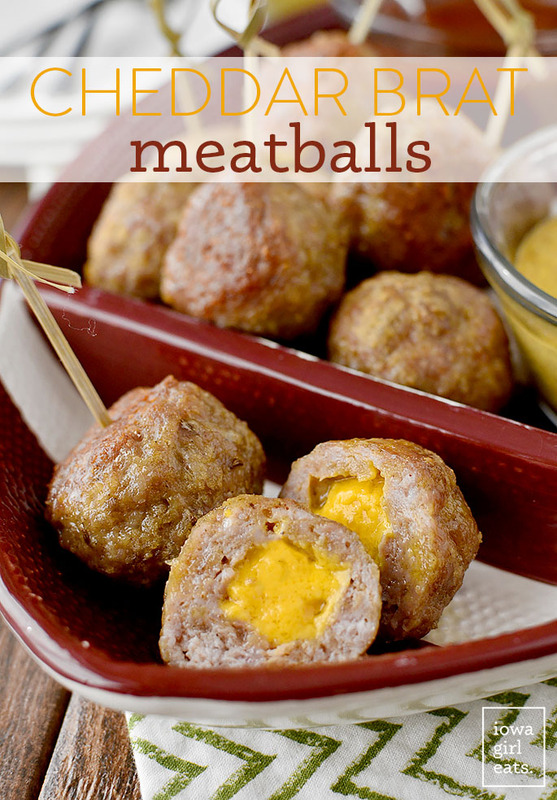 Speaking of meatballs and Beergaritas, today I’m sharing 15 gluten-free recipes that are perfect for this weekend’s big game. From easy apps, to yummy dips, crowd pleasing crock pot recipes, and must-have desserts – and yes, my dad’s KILLER Beergarita recipe – these are the recipes that will be lining my kitchen counter this weekend. Nevermind who the teams are that are playing for the trophy (I legit have no shame – ok maybe a little – about the fact that I have no clue who’s playing!) this Sunday is all about the FOOD! Ooo and the commercials – almost forgot about the commercials! What’s on your game-day menu this year? 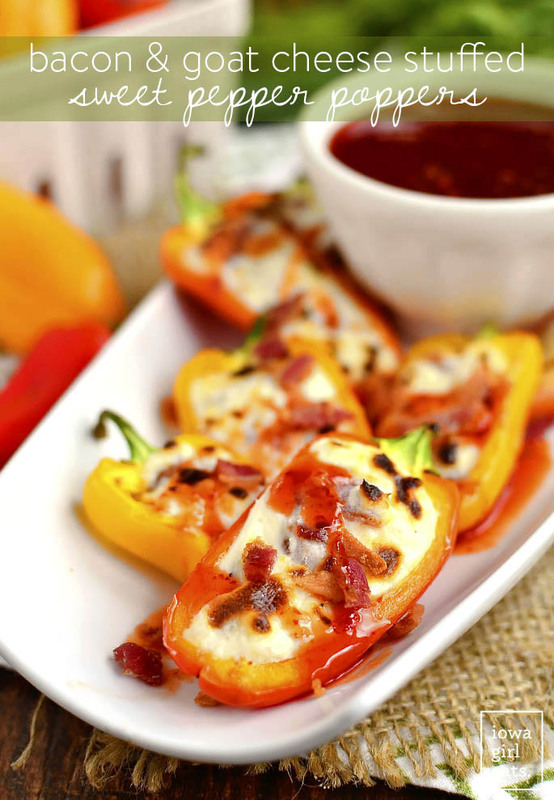 File Bacon and Goat Cheese Stuffed Sweet Pepper Poppers under one of my most favorite apps of all time. I can’t decide if it’s good or bad thing that since the peppers are mild, vs hot like a jalapeno, you can eat, like, 100 in one sitting. I’ll get back to you on that! What’s better than hummus as an easy game-day snack? Burying it under a mountain of flavorful ingredients then baking until warm and bubbly! 5-Layer Baked Hummus is super satisfying and packed with flavor. I’ve been making Best-Ever Southwestern Black Bean Dip for decades and never get sick of it. 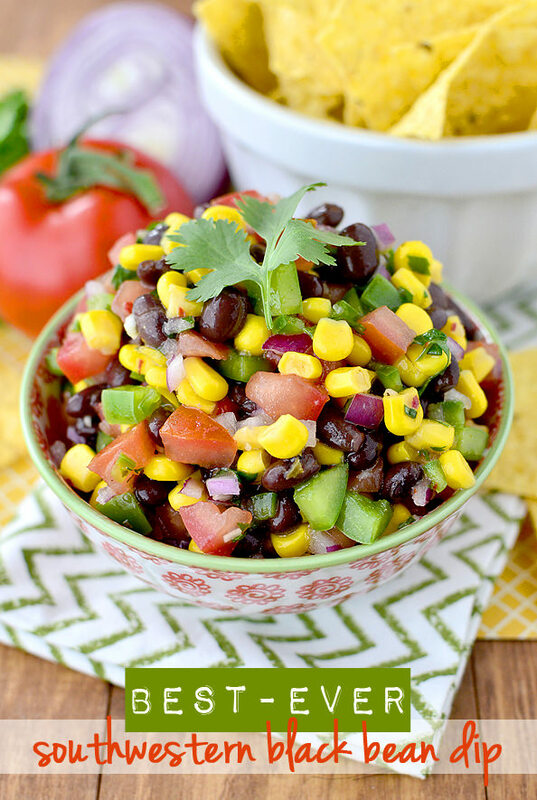 The combination of crisp fresh vegetables, creamy black beans, and tangy Italian dressing is made to pair with a crunchy tortilla chip. 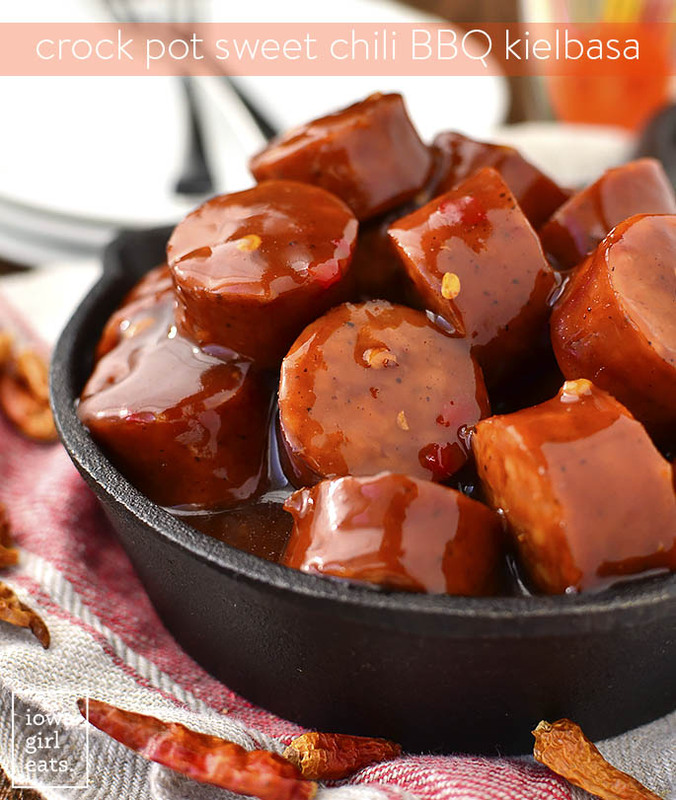 If you love little smokies, you’ve got to give Crock Pot Sweet Chili BBQ Kielbasa a try. Sweet, hot, savory, and made with just THREE ingredients. You can’t beat it! 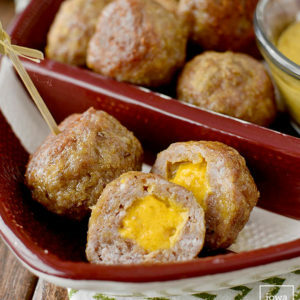 I am so proud of my Cheddar Brat Meatballs, which taste just like store-bought brats but don’t contain gross fillers, corn syrup, or MSG. The three, 3-ingredient dipping sauces I included in the post take them to the next level. 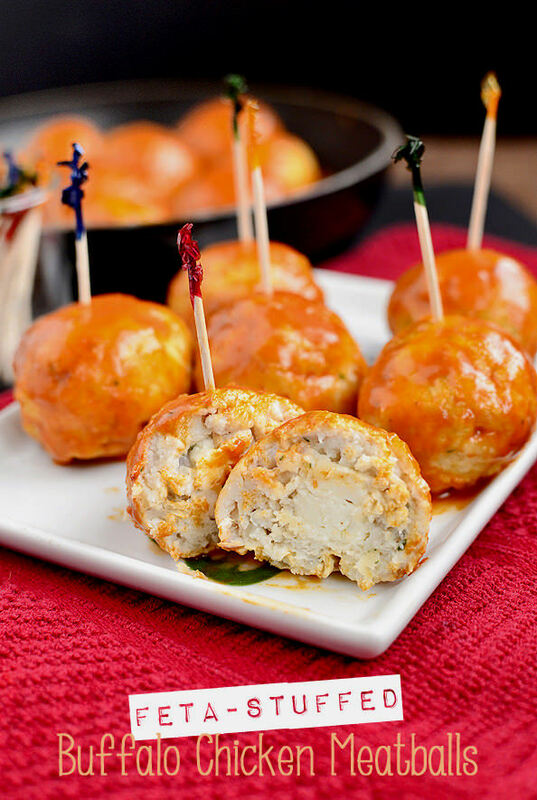 I created Feta-Stuffed Buffalo Chicken Meatballs for a client years ago and it ended up being one of the most pinned recipes on all of Pinterest that year. THAT’S how good these buffalo-spiced meatballs are! 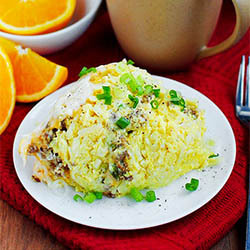 Make a big batch then keep warm in the crock pot for game time. Apparently I’m proposing you prepare a meatball bar for your Super Bowl party (hmm, that doesn’t sound like a half bad idea!) 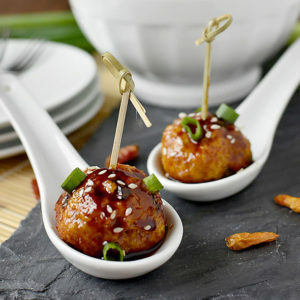 because you also have to try my Kung Pao Chicken Meatballs. These babies won a meatball-off Ben and I had in preparation for last year’s Super Bowl. It’s all about that signature, spicy-sweet sauce, man. If I could bathe in Chimichurri sauce, I absolutely would. 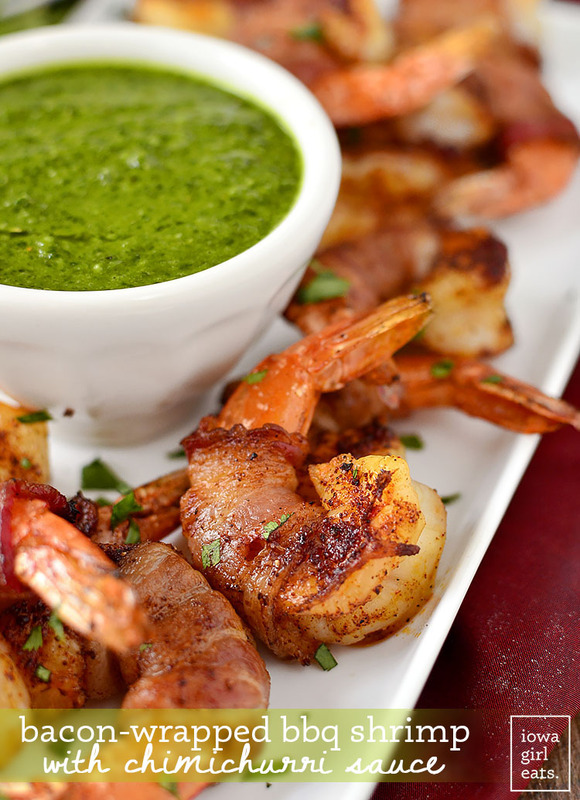 It’s bright and zippy color and flavor pairs perfectly with Bacon-Wrapped BBQ Shrimp which are sooooo delicious. 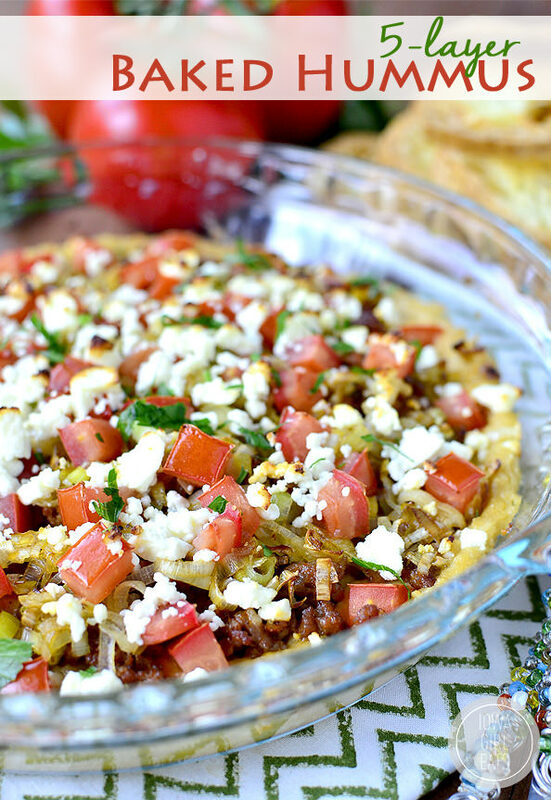 This dish is always a huge hit. An oldie but goodie here on IGE! 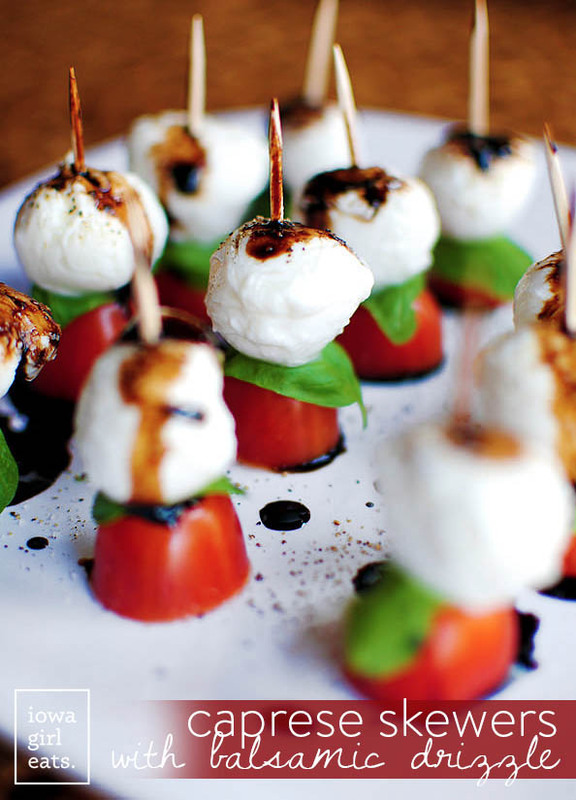 Caprese Skewers with Balsamic Drizzle are for the people who want a lighter bite while watching the game. Assemble ahead of time then drizzle with balsamic reduction just before serving. Simple, elegant, and super tasty. 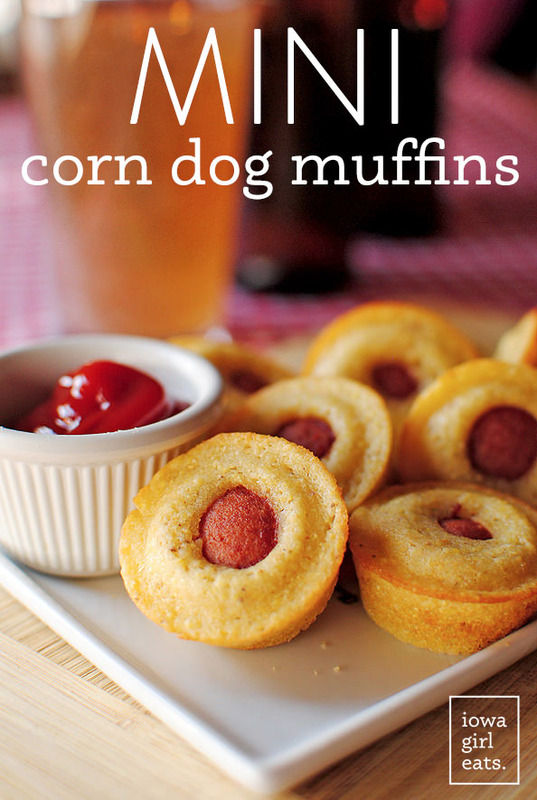 Mini Corn Dog Muffins are my most popular appetizer recipe of all time!! Fun, easy, poppable, and totally addicting. Kids (and adult males, in my experience!) go nuts for this recipe. 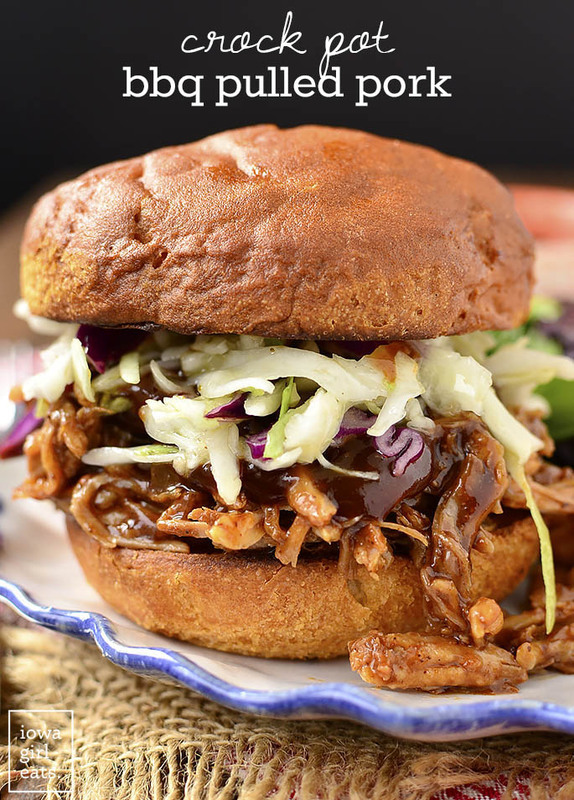 Personally I like to fill up on little bites and dips during the big game, but if you’ve got a crowd to feed, have Crock Pot BBQ Pulled Pork available on the countertop. This 5-ingredient recipe is super juicy and tender, and you can serve it with buns, tortilla chips, or even on sweet or regular potato skins with cheese. 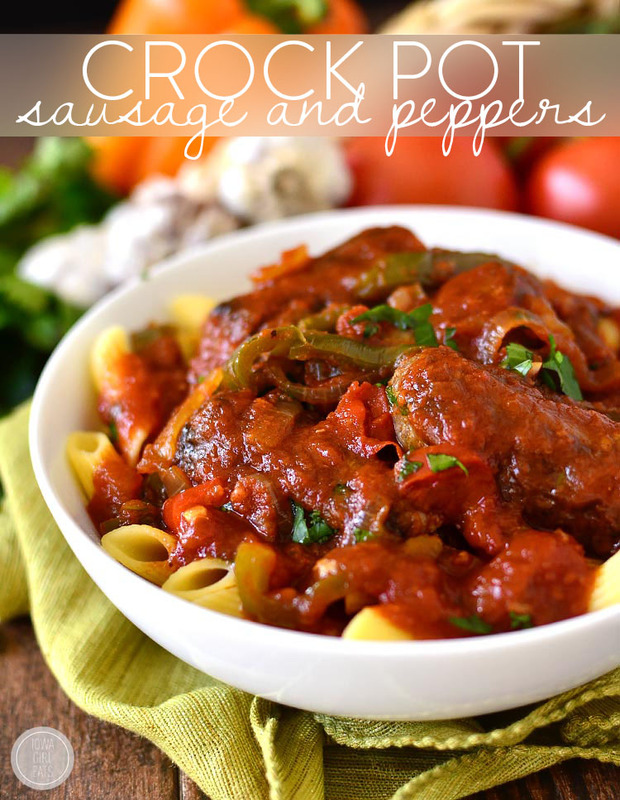 Ben made my Crock Pot Sausage and Peppers for New Year’s Eve day and holy moly I’d forgotten about how mouthwatering this dish is – such a treat! Serve with cooked pasta or rolls, or just all by themselves. However you serve it, be sure to have plenty of provolone on hand. Can’t forget about my dessert lovers! 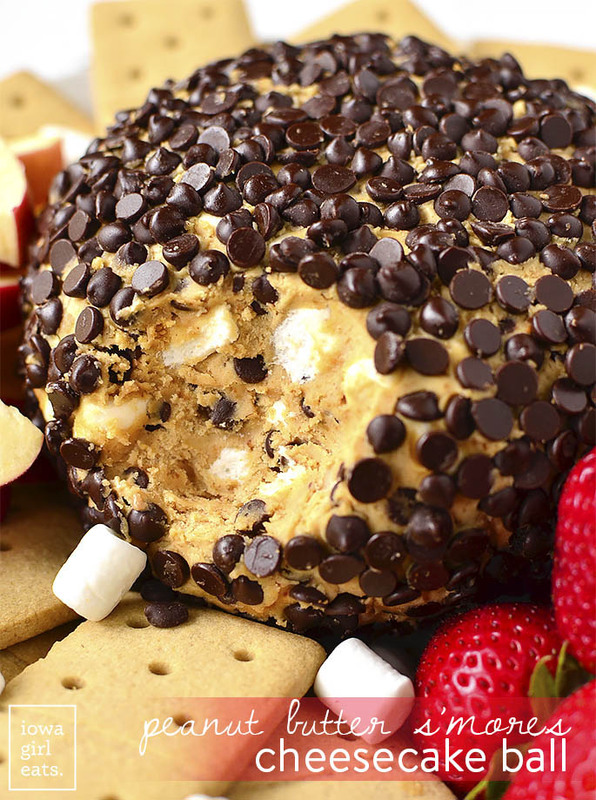 Peanut Butter S’Mores Cheesecake Ball is great at room temperature so you can have it sitting out all game long for people to swipe bites of here and there. I cannot emphasize enough how yummy this dessert recipe is. Then again, chocolate + peanut butter is one of my love languages! Ben randomly made these bars with Lincoln a few weeks ago and the entire house smelled like strawberry cake. DROOL! 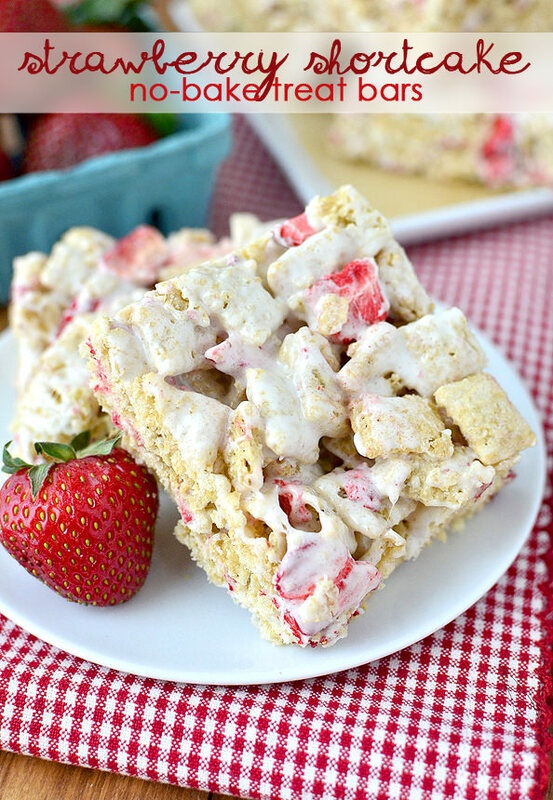 You will never eat a plain rice krispie treat again after tasting Strawberry Shortcake No Bake Treat Bars. 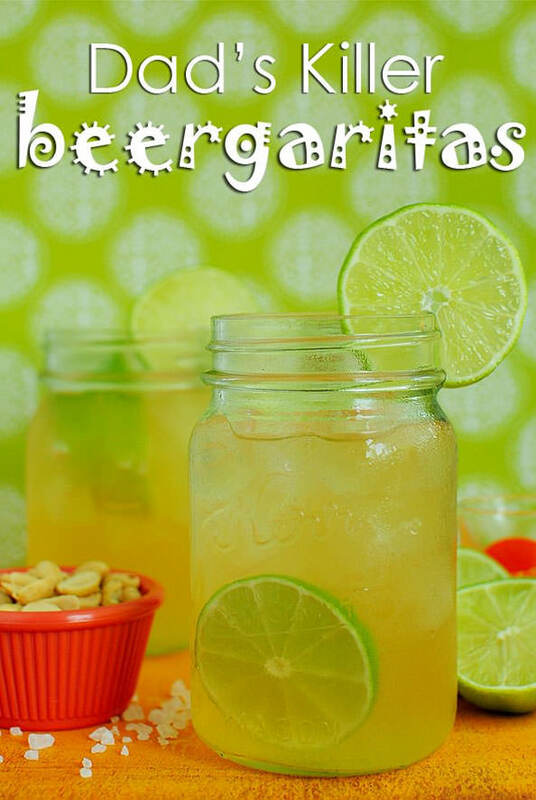 Last but not least, Dad’s Killer Beergaritas!!! These, I’m sure, are part of the reason why all those people call into work sick the day after the Super Bowl but…WORTH IT. FYI, I shared this recipe before I got Celiac Disease, so be sure to use gluten-free beer in your drink! I make the mini corn dog muffins quite often for parties since they are so quick. 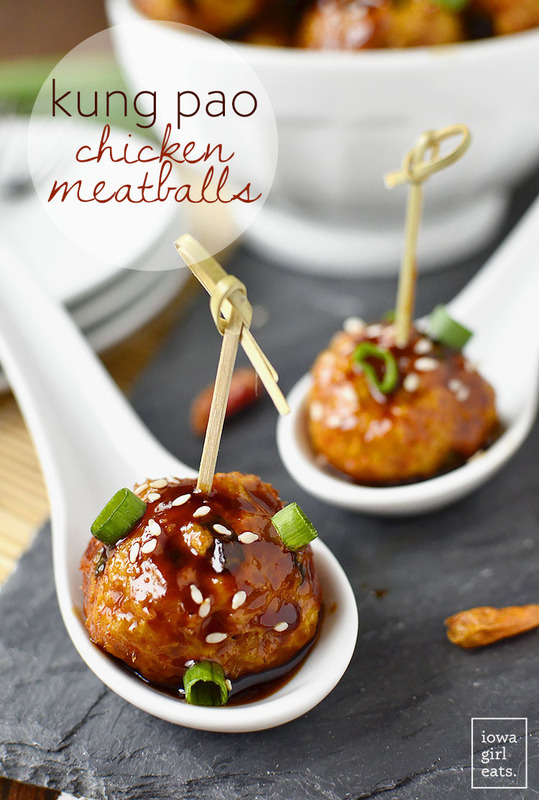 They are always a huge hit and I always get like 5 requests for the recipe. 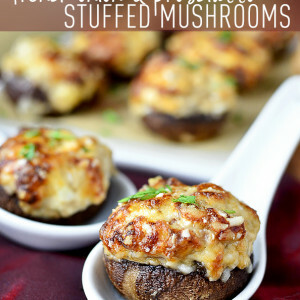 Honestly, they are so good, especially with cheese added in! You forgot your crockpot chicken with homemade BBQ! 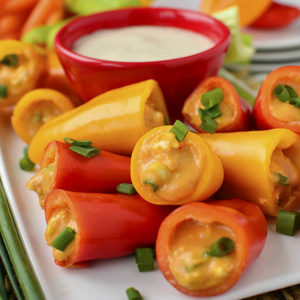 That’s what we’re making :) I might have to make some of that southwestern dip as well!